Nintendo has just released its financials, and as part of that report has outlined its software release plans for the remainder of 2015. Unsurprisingly, Zelda on Wii U is nowhere to be seen - it has been pushed into next year - but elsewhere there are many reasons to be cheerful. The enigmatic Wii U Star Fox entry remains firmly on course for release this year - we'll no doubt see that revealed at this year's E3 - while RPG cross-over title Shin Megami Tensei X Fire Emblem is going to hit Japanese store shelves this Winter - a surprising turn of events when you consider that not so long ago, some were suggesting that the game had been canned. The other big news is that Project Giant Robot will be released in the next few weeks in the West, while fellow GamePad experiment Project Guard will see the light of day at some point this year. Finally, Wii U exclusive Devil's Third is still slated for a 2015 release. On 3DS, things are a little grimmer. Animal Crossing: Happy Home Designer is expected to launch this fall in both North America and Europe. An earlier Summer release is planned for Japan. Yo-kai Watch is also included as a 2015 release, but there's precious little else to speak of - aside from a Japanese launch for the new Fire Emblem. Where did that image of Fox McCloud come from? Starfox & Devil's Third this year makes me very happy indeed. Why did I buy a new 3DS? @AyeHaley Codename STEAM out next Friday. @AyeHaley I'm wondering the same thing. I really hope that they announce enough at E3 to have me happy that I bought it...if they end up announcing the NX as their next portable or console, I can see a lot of fans becoming unhappy with them...especially ones who just bought the New 3DS and just bought a Wii U. That is really slim pickings considering neither of FE are going to be coming west until next year. No mention of xenoblade chronicles x in the west in 2015? Figures they might’ve added that to the list? OK list. Does seem pretty barren though. 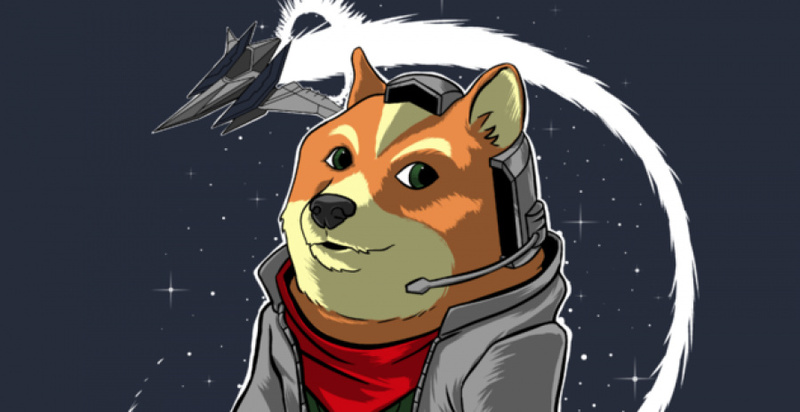 Also, why is Star Doge the article image. @JLPick Correct me if I'm wrong, but the New 3DS was never advertised with the promise of lots of new games - it was marketed heavily in terms of super-stable 3D, faster processing, new C-stick. I just wonder what eShop and VC games will fill the gap. And another thing, we still haven't heard anything about 90's arcade racer or Road Redemption for quite some time. I would like to know what's happening with those. I wouldn't talk about 'slim pickings' until post-E3. @gcunit I know....just hoping for something since when they announced it, Xenoblade Chronicles was only to be able to play on that. I thought more would come. It's a shame that there isn't more coming out for the 3DS at the moment, but maybe E3 will change that. No wonder Vita is selling so well in Japan... 3DS reached the end of it's life, Nintendo has exhausted all their repertoire for this generation. They are probably too busy doing re-make for the mobile with the same games. I must admit this is a little unsettling. Yes, MH4U will probably last me till the end of time, and yes, then I have Xenoblade to play through, but I will want something else one day. Here's hoping that E3 holds some epic reveals. Probably just a bunch of Unity games. They better have a few big surprises at E3. None of the games mentioned will move any systems as most are niche games. The 3DS side looks really pathetic in particular. They at least seem to be trying to appease Wii U owners with a light string of games, both mentioned and not mentioned but known in this article... But the handheld is really struggling. That StarFox image is an abomination in multiple ways! Fox is not a Shiba Inu! @AyeHaley my thoughts exactly! The New 3DS has just become irrelevant. What happened to fox in that picture he must have been sleeping in Warios house since star fox command lol. The Nintendo 3DS game offerings on this list are kind of disappointing, but hopefully once more developers start using Unity for the New Nintendo 3DS we will actually start getting more quality releases. And I hope they aren't just ports of games from the Wii U. New games would certainly be nice. I'm also really behind on games for my Nintendo 3DS anyway, so I still have plenty to play. My time is only becoming more limited, so the games always keep piling up. Giant Robot in the next few weeks?? Cool! Star Fox U has to be one of the best games ever made to live up to all this secretiveness and the resulting hype. @gcunit When I did some looking on Amazon and Gamestop, they both stated that Xenoblade Chronicles was an exclusive just for that and that more was on the way for it as exclusives to it...that's why I thought more would be coming...plus also, somewhere on this website, they stated that exclusive E-Shop games would be coming on it, that won't on the original 3DS's...that's the only reason that I thought that. Other than that, I just wish some more games would come out for the system, but I think they already released all of the titles for it, unless they make a new Star Fox, Metroid or Donkey Kong game for it...since star fox and donkey kong were basically remakes. It seems that 3rd parties don't even have much coming out for it, which made me wonder if another handheld system is in the makes...as I've looked back at nintendo's consoles (I owned them all), the last year of the systems barely had anything coming out for them, which is why I'm wondering this. Very Barrel Roll. Much Slippy. such arwing, much doge, very fox, wow. .....again, they're saving some surprises for E3! They're not going to do a direct @ E3 and be like, "well we have nothing new to share, oh and here are directions to Sony & Microsoft's presentations and booths." So people screaming that they're aren't enough games, be patient and enjoy the games that are already here. Project Guard in the next few weeks? Hmm curious. I thought the preview was interesting but a bit barebones, I do want to see how it has grown. At long last, finally some kind of confirmation that Giant Robot and Guard are some kind of actual games, though it's sounding like quick downloadable titles, and not major new franchises. What I see is "filler content" to hopefully keep fans from leaving their Wii U consoles off for more than a month. I'm surprised to see these things actually appear as actual games, but not _that_surprised. It's not like Nintendo has much in the way of 3rd party support and they clearly can't support two platforms by themselves at once, so I suppose they need to turn E3 demos of the past into games now. @DamianMcFerran I think the report indicates Project Guard will be released in the first half of Fiscal Year 2015, which for Japan just started; i.e. by October. There is just no way Nintendo will release a Wii U game by June 30 that doesn't even have a final name announced yet. Good! Almost nothing new on 3DS right now! I need time to play a lot of games that I bought but didn't have the time to beat it! I have to say the Wii U lineup is pitiful. It's clear Nintendo can't support development of 2 consoles as the volume of games is so low. At least the games that are on the horizon should be of good quality. Hm...not a whole lot of 3DS games. Hopefully E3 changes that. Unless that is the final name. Uninspiring though it may be. Nintendo did, at one time, have some kind Transformers-clone franchise, if I'm remembering my Smash Bros trophies correctly. Maybe it'll be intertwined with that? @Vineleaf @GeminiSaint Dangit, you guys beat me to it. Still waiting for any info about Devil's Third Big N.
One of the benefits of being unemployed is that later release dates for games are just no problem at all. Also, we have so much backlogged at this point we are set until the end of the year anyway. One good thing about all this is that Nintendo has been supporting their big titles with more content. Yes, it's via DLC, but it's working on us. The Mario Kart stuff is keeping us playing and happy. Very interested in Devil's Third. Yay Star Fox and the 3DS Fire Emblem! Where is my Yoshi Woolly World in NA though? Didn't I hear that the New 3DS would get around 10 exclusive games? And I hope one of those is a new Metroid Prime Hunters game!! And you still will have those on the internet complaining there aren't enough games. Throw in some of the third party games we're getting and E3 happening next month and this year is looking real good for Wii U. Really, the funny thing here is that Nintendo will have the best line up of games at E3 and they won't even show Zelda... I'm not saying this as a fan-boy but because of Mario Maker, Star Fox, Bravely Second and the two Metroids. Wondering if they will finally talk about the QOL, since I still have no idea of what that is. I will soon be reunited with my all-time favorite franchise. It's been tooooo long my old friend. StarDoge, coming to the Wii U in 2042. Project Giant Robot coming in a few weeks? I thought it was a proof of concept, especially since we haven't heard anything about it since it was toyed around with at E3 last year. Not even a title change? I was under the impression that the two project games - particularly 'Guard' - were tests of modes that Star Fox U might implement.